Making Tsuka and Saya (woodwork) are basically similar and done around 2 days for wood work, and the followings are the summery of noticeable comments by the Japanese Tsuka-shi, Saya-shi (craftsmen) of our Tsuka and Saya making class in Japan for typical Muromachi era Itomaki Tachi using WWII(1940's) Seki swordsmith blade. Making Tsuka or Saya requires the same size of smooth surface two wooden boards, which may not be hard wood or tropical wood. Note: Always sandwich inner growth ring of wooden boards (curving sides), in order to minimize bend and maximize strength. 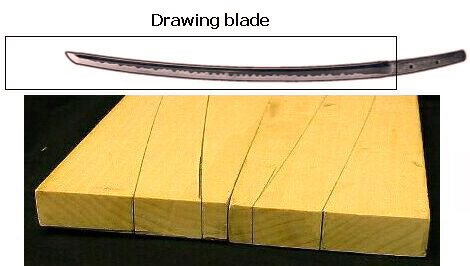 Placing blade on boards and start drawing to curve, considering Shinogi, Ji, and Habaki size. 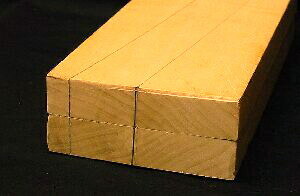 Note: Before curving, review the shape of Shinogi (Tsuka: review the shape of "Nakago" tang) for curving depth. Finally, draw the cutting marks/lines on outside of boards, considering cutting accuracy. 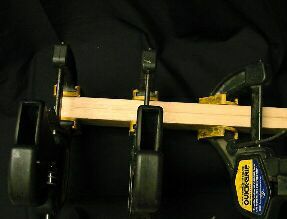 After carved boards, sanding each surface smoothly for glue securely, and bonding tightly using clamps. Glue time is one night, and continue to work the rest of woodwork in next day. 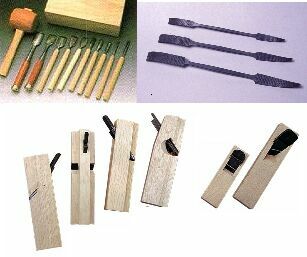 Cut the marked Saya external lines, it is desirable to consider some space (1-2mm) for filing and finishing. 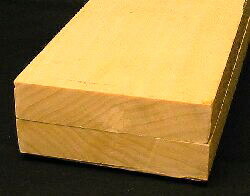 After cut boards, start forming (planning/filing). Note: First to finish the Habaki entry, using Japanese riffler rasps. After formed shape of Saya and Tsuka, sanding the surface of wood to be ready Urushi paint (decoration). Before and after check all necessary fitting are in order to meet Saya and tsuka. Below is each fitting area. Tsuka should be wrapped with Same-kawa and Tsuka ito or decorate Tachi style tsuka fitting. Saya would be painted Urushi (Hon-urushi (Nama-urushi) or cashew urushi) considering fitting. Below is example of type of Urushi painting. 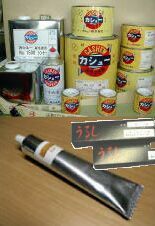 In order to make harder coating surface, paint Cashew "Shitaji 2go" (Undercoat 2go), which is cashew resin putty. Left picture is Cashew Undercoat 2go coated Tachi Saya. 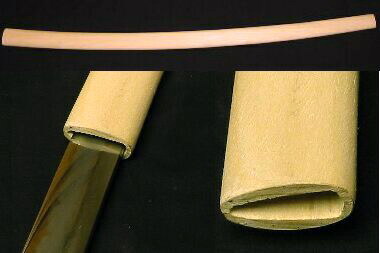 Note: Katana, Wakizashi saya may wrapped by Yoshino-gami before Shitaji coat to reinforce saya for preventing cracks, due to non reinforce fitting, such as Ashi, Kashiwaba, Semegane of Tachi saya. Paint Cashew "Surfacer" on Undercoat 2go, in order to make primary layer. Left picture is Cashew Surfacer coated Saya on Undercoat 2go. Note: Please refer to respective published books, videos or each professional's site for more details to woodwork, Urushi painting, Tsuka maki.